The Discoverers Room has been designed to be a true home-from-home for your little ones, enabling them to grow, play and rest in comfortable and loving surroundings. 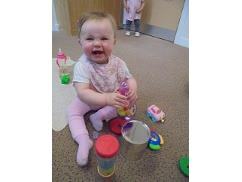 Our aim is to always provide a safe, stimulating and fun environment where babies feel happy to explore, as we feel this is the best way to aid their development. 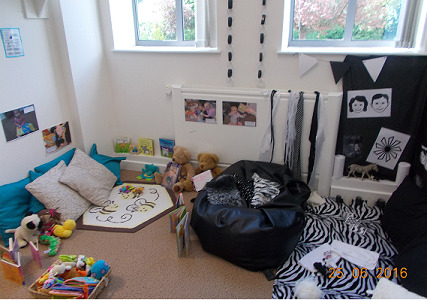 Quiet 'snuggly' and peaceful sleeping areas allow babies to get their golden rest time after hours of fun and play. Meanwhile our changing facilities are within the room to make the babies feel happy and secure with their day to day routine. 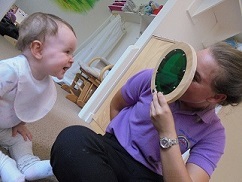 At Little Lingfields, we recognise that the most important teachers in a baby's life are their parents or guardians.We adopt a partnership approach by assigning each child a key worker, who keeps families up to date with their babies experiences. This is another vital line of communication, giving you peace of mind that your baby is in the best place to grow and achieve. 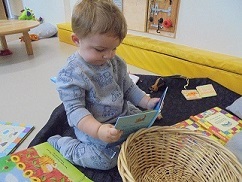 Parents are also encouraged to share their experiences of their little ones sleeping, eating and playing habits. Current interests and weekly planned activities are displayed in the room.